We are excited to announce that for the month of November, Lyft will be donating $1 to the Movember Foundation every time a user in Toronto and Ottawa enters promo code LYFTMOVEMBER in their app. It’s a win-win: you get $10 in ride credits and help raise awareness and funds for men’s health. 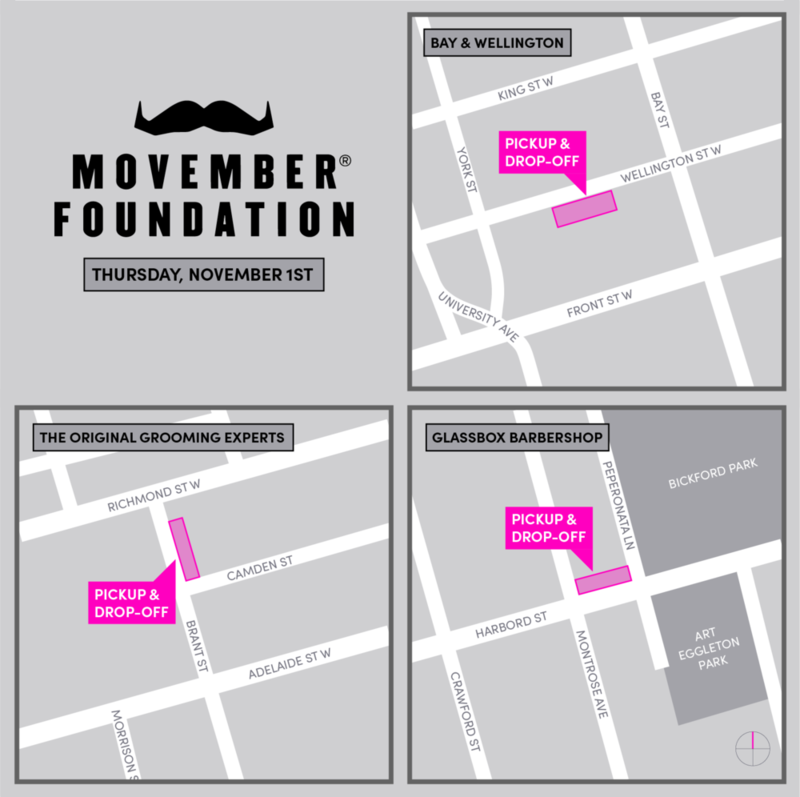 For those in Toronto looking to start the month off with a fresh shave, we’re setting up designated Pickup/Drop-off locations at participating Movember barbershops to get you to or from Mo 1 Shave Down events on November 1st. Enter code MOVEMBER2018 in your app to get a free ride up to $15. It’s easy. Wherever you are — tap to request a ride and you’ll see nearby cars decked out with a classic barbershop spiral! Teaming up with Movember is part of Lyft’s ongoing efforts to contribute to the communities we serve and support charitable initiatives, while improving people’s lives through the best transportation. Ready, set, Mo!